We’ve only seen leaked renders of the Galaxy Note 8 so far but that changes today. 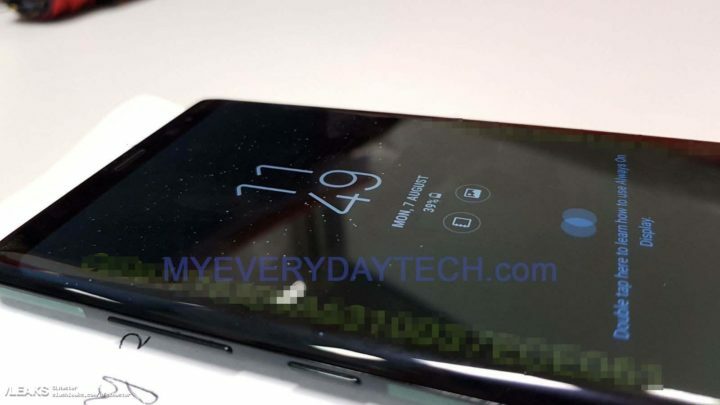 Several live pictures of the Galaxy Note 8 have been leaked online. The upcoming handset struts its stuff in these real-life images. The images show a device that’s in line with what we’ve heard so far about the Galaxy Note 8’s design. 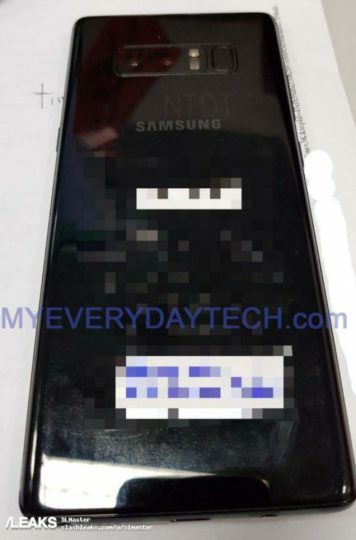 It’s quite likely that these images are of a Galaxy Note 8 prototype, possibly one of the final prototypes that has a lot of similarities with the final version of the handset. As expected, the 6.3-inch Infinity Display dominates the front of the device. The Galaxy Note 8 has a more squared shape so it doesn’t look that similar to the Galaxy S8. It also has the dedicated Bixby button on the left. We can see the fingerprint sensor at the back alongside the dual camera system. The Galaxy Note 8 will be Samsung’s first flagship smartphone to feature a dual camera system. 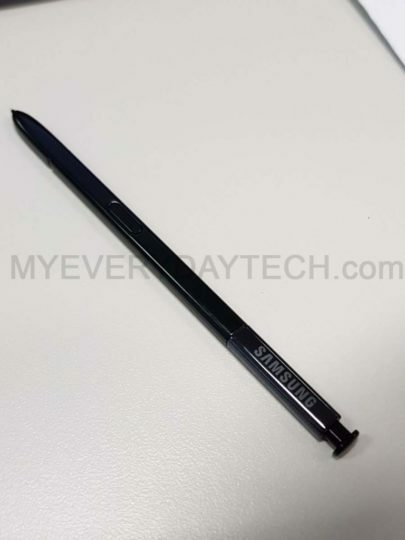 The S Pen is seen in these leaked images as well. It doesn’t look all that different from its predecessors, but then again, there’s only so much that you can change on a stylus. Samsung is due to unveil the Galaxy Note 8 on August 23. The company will confirm pricing and availability information at the event in New York City. Actually this is what they give to their field management to take and show reps in stores and to demo features in pre release trainings. the yellow pixelated parts generally have some identifying information of who it was given to. Not so good looking at this point of view anyway? It does look very long, still wish I could upgrade to it. Hello Bixby button and the same misplaced fingerprint. The phone can be unlocked like 6 different ways including trusted devices like your smartwatch, and retinal scan. 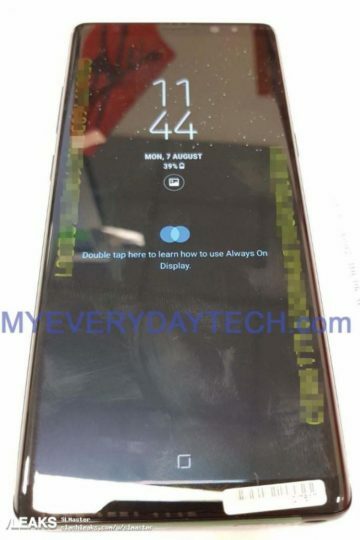 Yet we are still bitching about the fingerprint scanner being on that back. I cannot wait to get my hands on this. I am missing my Note. I can stop using my 10.5″ tab with stylus on site and go back to my nice compact Note. “On site” as in on a construction jobsite or something else? If yes, reach out to me.